Dreadlocks Hair Care. Tips and Tricks! Care to share some tips and tricks in maintaining your locks? I'm currently using diluted anti-dandruff shampoo and alternating it with diluted mouthwash. Planning to buy some tea tree extract shampoo. Any suggestions? Any runners with dreads? Need your advice on preventing smelly and itchy scalp since you can't wash it everday. Re: Dreadlocks Hair Care. Tips and Tricks! i find that GARD shampoo works for me. mas ok din lalo na yung menthol variant lalo pag summer. and of course, if works well in preventing dandruff. same procedure, 1/4 tabo, dilute some shampoo, pour. massage your scalp, let it get to the dreads and tips. leave on for a few, rinse and youre all good. i do it every other day. lukewarm water in a 250ml sprayer bottle + 1 teaspoon baking soda. mix well than spray directly to your scalp. leave on for 30mins to 45mins then rinse thoroughly with water. tapos 1/4 tabo lagyan mo ng apple cider vinegar. i use the cap to measure, mga tatlong puno is good enough. mix well, pour directly to scalp and let it run through the dreads, rub your dreads for at least 30 secs than rinse with water. after nyan, do your regular bathroom thing. i used to go to the gym and i sweat a lot. by following the above cleaning procedures, wala pa naman akong naging problema sa amoy at kahit anong mga tumubo. yung sa GARD shampoo pre, expect mo na maging parang brittle yung buhok mo. yung parang tumigas sya na parang alambre at medyo makati sa scalp. you can remedy it by rinsing with 1 cap apple cider vinegar sa 1/4 tabo ng tubig or mag conditioner ka ng isang thumb size lang ang amount. problema, mainit sa ulo yung conditioner. at least once in every 3 months, bili ka ng 1 bottle ng licealiz shampoo to prevent lice and kuto(im only telling you about this as precautionary and para di mo na maexperience). ubusin mo lang yung shampoo ng 1 linggo(once every two days). mabango sya sa buhok. kung di lang insecticide yung main ingredient nya, gagamitin ko sya regularly hahaha! ano mangyayari pag gumamit ka ng conditioner sa dreadlocks hair mawawala ba pagiging dreadlocks??? di naman. but it will soften hair enough na luluwag yung locks and the newly grown hair sa base ng scalp ay matatagalan bago sumunod sa locked strand. Nakita ko yung deep cleanse kay lazy dreads sa yt. I was wondering kung applicable since tropical country tayo. Thanks! Care to share some styling pics? Saan nakakabili ng dread tams and hats na hindi rasta colors? Thanks. Nakita ko yung deep cleanse kay lazy dreads sa yt. I was wondering kung applicable since tropical country tayo. Thanks! it is. 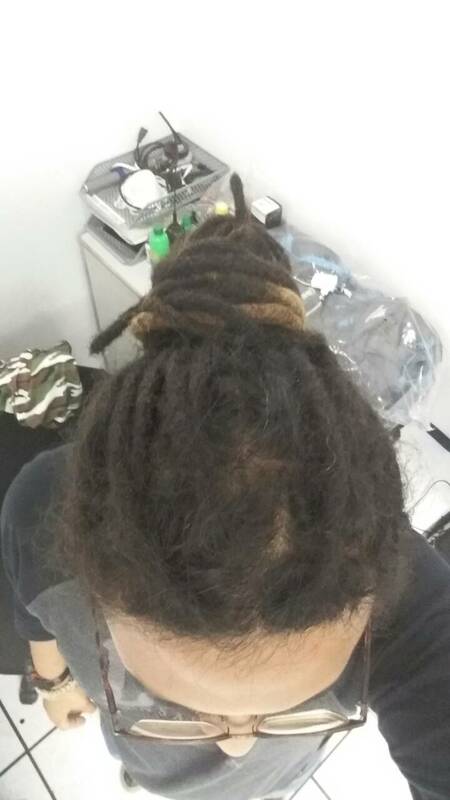 and as Lazy Dreads stated, mabagal ang pag bind ng dreads sa tropical countries(or arid areas) dahil mapapadalas ang pagliligo at paghuhugas ng dreads unlike sa cold areas na kahit di ka magbasa ng ulo(buhok) ng 1 week, you still feel fresh up there. styling pics? wala ako nun haha. i let my dreads free. maybe bind them together using a dread strand din pero yun lang. sa mga dreadhead accesories, Market Market pre dun sa mga tiangge shops sa taas ikot ikot ka lang may mga shops dun na puro crocheted stuff lang ang benta. 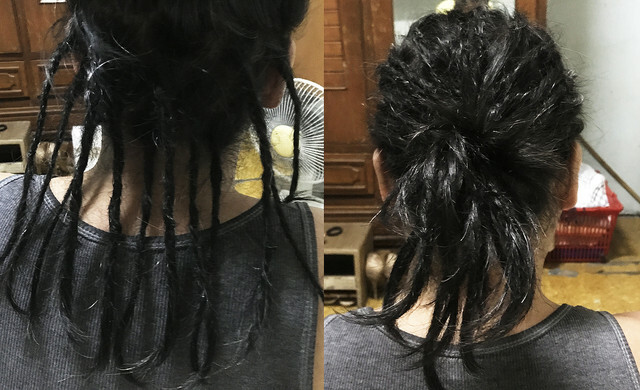 i have 1 tam na nabili ko nun time na di pa ko dreadhead pero di ko na din nagagamit. i also collected crocheted shawls nung nag baguio kami. i think i have 6 in my cabinet. i wore them like how one would wear a bandana just to keep the strands off my face. i eventually stopped wearing them and let the jungle man in me prevail. 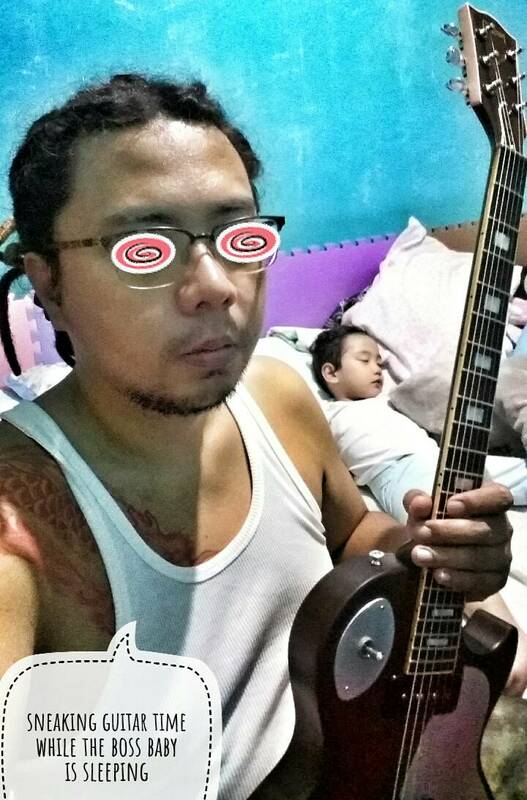 in short, i stopped caring kung sabihin man ng mga tao na sabog sabog o nakakalat dreads ko hehe. i like mine natural looking. Noted. Will check out market market. Need to groom mine since medyo madalas meeting with the bosses. 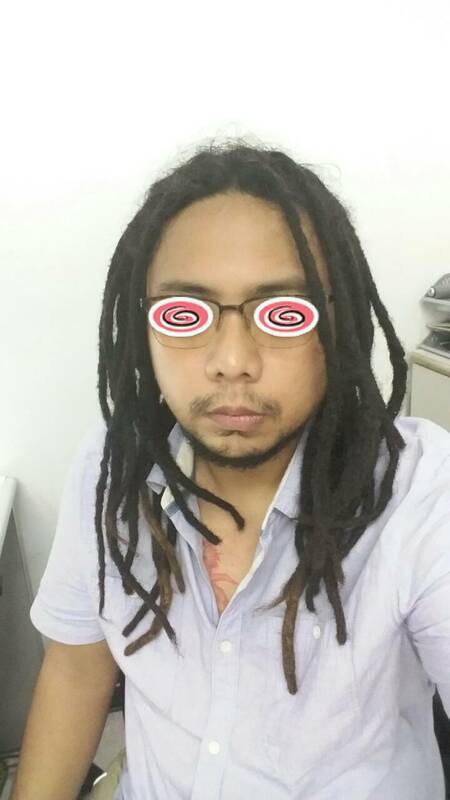 gustong gusto ko matagal na magpa dreads.. kaso parang hindi pa ata pwede yung haba ng buhok ko..
tinry ko yung "Twist and Rip" style for a while..
balik shiny and bouncy hair nalang ulit. @Marzi saan ba pinaka okay magpa dreads? and price range na rin? pwede yan. but you have to expect that there will a significant decrease in length pag naka dreads na. dahil yan sa backcombing and crocheting na gagawin at para maging tighly bound yung bawat dread strand. yung gumawa ng sakin eh nasa middle east na. he was here last month kaso wala ako time kaya di ako nakapag pa maintain. a lot of people would recommend Pinoy Dreadman. you can find him on fb. malinis gumawa. i was on his page as it also served as a collective for anything pinoy dreadhead kaso umalis ako dahil may disagreements ako sa patakbo nya. you can also try searching in OLX. malay mo may malapit sa inyo. Maganda i-dreads buhok mo sir. Daming strands magagawa. Sa akin nasa 30 lang. 40 above mas full-looking. nung time na maulan at malamig paligid, madalas ako nababasa dahil inaabutan ako ng ulan habang nagmomotor. pag uwi, i make every effort to dry it immediately by using a hair dryer. kaso nauna pa rin si mold. i saw 3 strands na meron at naka siksik sa dread strand kahapon. i spent 1 hour of my office time trying to remove na damn things pero yung iba pasok na pasok na sa loob. ayun pag uwi ko, after ng cardio diretso baking soda/water/tea tree oil treatment ako tapos rinse ng ACV. will be doing this for the next two weeks to eradicate the damn things. delikado sa bata ito e.
Bad Behavior has blocked 66028 access attempts in the last 7 days.